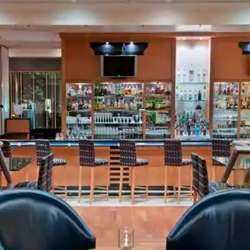 Join us and share some drinks at an elegant location - mix and mingle with fellow global minds and expand your social and business networks at one of the most exclusive bars in Vienna, the Hilton am Stadtpark. We will kick off the evening with one free welcome drink for the first 100 members in attendance. Followed by a special free raffle with valuable prizes. Please note that you must be present to win. 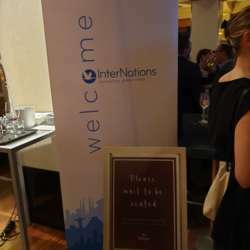 For this special evening, The Hilton will have their exclusive InterNations drink selection and the InterNations "Bar Bite Menu”, which includes Austrian delicacies, for purchase. We would like to take this opportunity to thank BernhardAV Audio Visual Systems for their technical support of the audio and visual equipment.